Why Would you need to reset Android on your Sony Xperia ZL ? rsonal data, including messages, contacts and installed apps are gone. Although the company has disabled the custom recovery mode to get a lighter Android operating system on your Sony Xperia ZL, we will show a method which can do a hard reset on this phone without even having access into it’s main menu . Of course will also discuss the process to unlock Android from the phone itself. This method is very useful for those who have forgotten the lock pattern on the Sony Xperia ZL device or for those with serious errors in the Android system, which prevent the use of it’s settings menu. When a windows pop up, select the REPAIR PHONE option. Another method to reset Android in your Sony Xperia ZL is through access into the device menu. 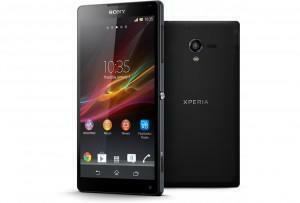 This will allow you to restore the Sony Xperia ZL phone. Just consider that you may want to backup your files with a backup Google Play application, first. To make this process we go to Settings> Backup and Restore > Restore Factory Data > Reset phone > Erase everything. We wait for it to carry out the restoration process on the Sony Xperia ZL.